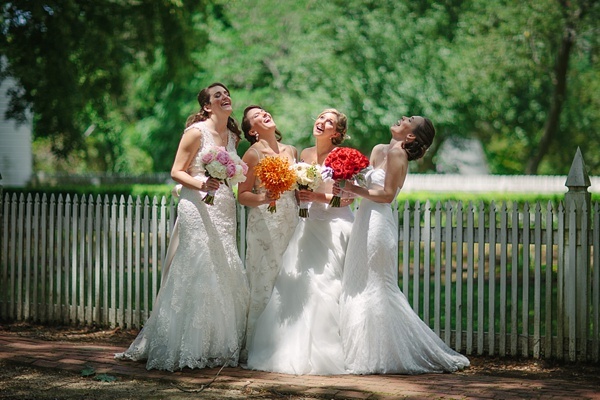 Fun and sentimental, this bridal shoot tells a story of four best friends who grew up together in Williamsburg, Virginia. 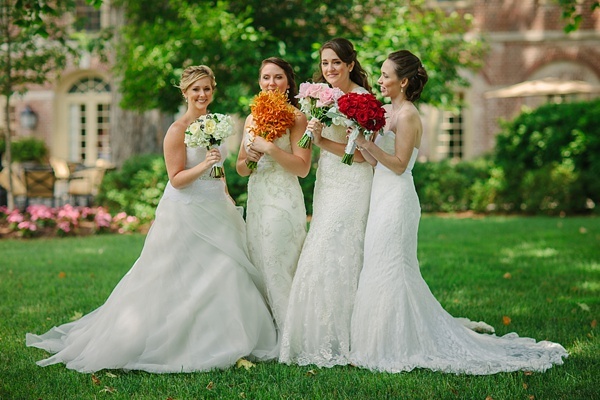 Now all grown up, Jillian, Marti, Lauren, and Jess have a bond unlike any other-- so much that these four ladies got married within a six month time span... and all in their hometown of Williamsburg! Jess, the leading planner lady behind Wedding Co. of Williamsburg, decided to create a fun wedding shoot that would honor their childhood friendship and their new lives as newlyweds to the tune of Historic Williamsburg favorite hotspots! Although Jillian, Marti, and Lauren all knew about the shoot, they were told nothing about the surprises Jess had in store for them. 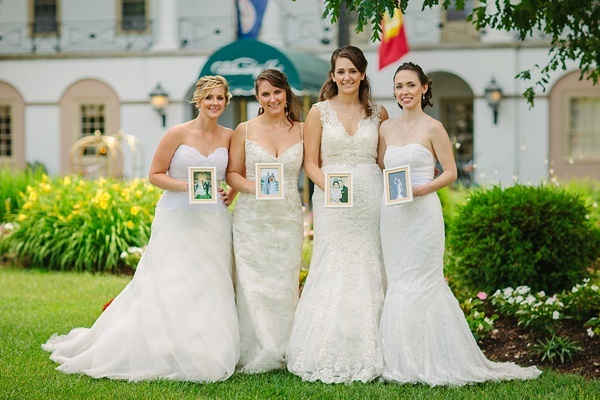 They knew to bring their wedding dresses and wedding details from their respective big days, and that was it! 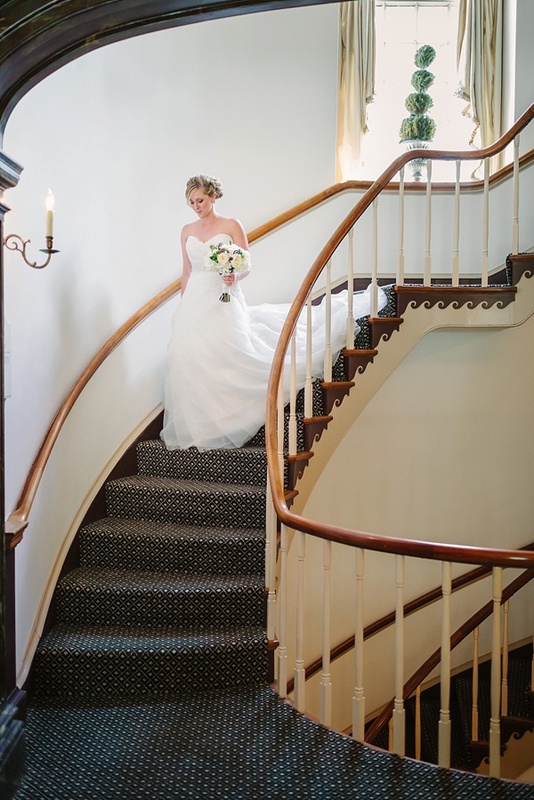 When the girls arrived at the Williamsburg Inn, the wedding pro entourage was there to greet them in faux wedding fashion. Sitting on the table were also replicas of their wedding bouquets created by The Flower Cupboard. 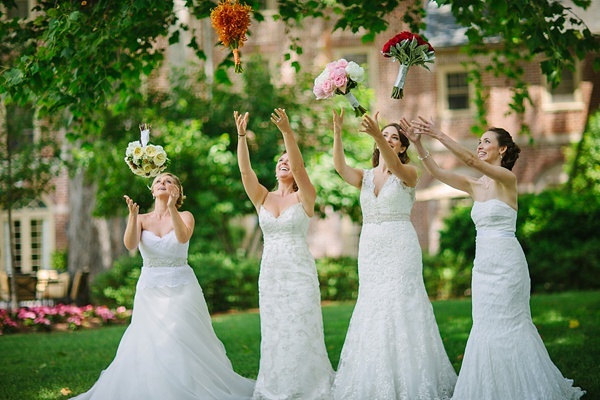 And like a real wedding day, the brides' moms were there to help them back into their iconic white gowns. 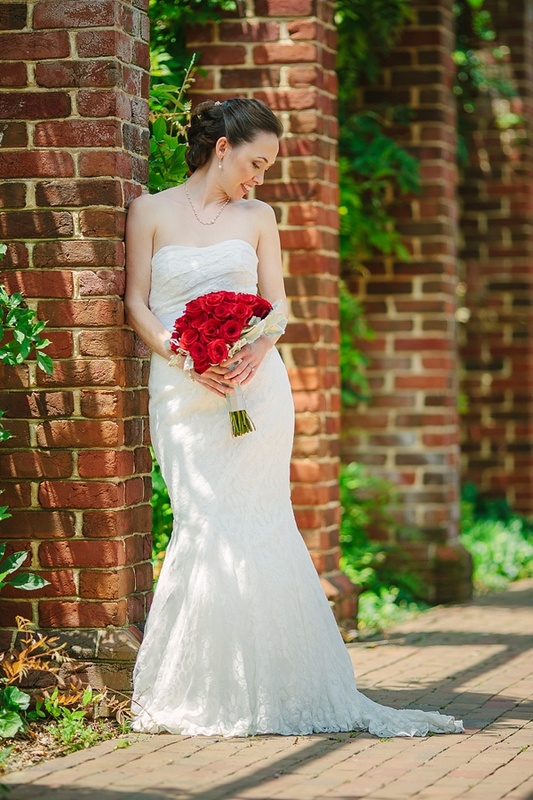 Through the gardens of the Historic Williamsburg area, to the Cheese Shop, and cocktails at The Trellis Restaurant, these brides, part deux, reminisced and had the perfect girls' day out together in one of Hampton Roads' most loved areas. 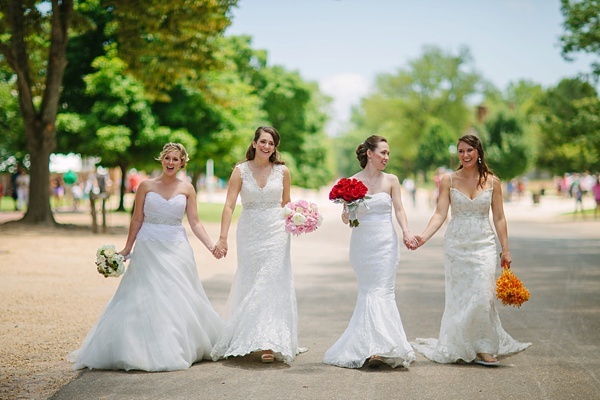 The day was filled with surprises and allowed four best friends who were four brides enjoy a memory that will last a lifetime. This is just a page in the chapter book of the last 20 years these girls have spent together!